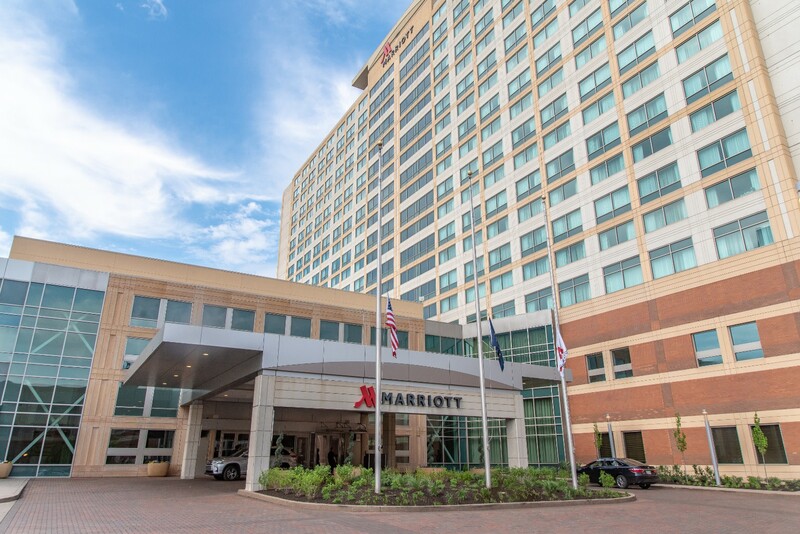 We have negotiated group discounts and secured a book of reduced-rate hotel rooms with the Indianapolis Marriott Downtown to make your trip to Indianapolis more affordable. Attendees can secure rooms at the group rate of $159 USD per single/double, plus tax when reserved by August 16, 2019. To book your hotel room, call 877/640-7666 or reserve online here. Spaces are limited and on a first-come, first-served basis. Where can I find the schedule-at-a-glance? You can follow along with our latest schedule here. I’ve already registered and paid, but I am not able to go. Can I send a coworker in my place? Yes - Email agriffin@glass.com with information of the coworker you are sending in substitution before the deadline of July 31, 2019. Please provide the following details: name, job title, phone number and email. Please note after this date a badge change fee of $39 will be applied. What do I receive as a FULL registrant? Unlimited access to our educational program, trade show floor and front row seats to our must-see competitions. Optional events such as the Pub Crawl will require additional registration and payment. Wednesday, September 4 from 1:00 p.m. - 6:00 p.m.
Thursday, September 5 from 12:00 p.m. - 6:00 p.m.
Friday, September 6 from 9:00 a.m. - 2:00 p.m.
How do I obtain a visa letter to attend the International Window Film Conference and Tint-Off™ '19? Please contact show registrar, Alex Griffin at agriffin@glass.com for a personalized visa invitation. What is the cancellation policy for the conference? When is the last day for my refund or substitution? All requests for cancellation and/or refunds must be received in writing by July 19, 2019 to agriffin@glass.com, and are subject to a $50 administrative fee. No refunds can be given after this date. All substitution requests need to be received by July 31, 2019 otherwise a $39 badge change fee will be applied. I have 2 or more coworkers coming with me to the conference. Is there a discount for a group? Yes. Registrants can purchase two full registrations and receive the third full registration FREE. Where will the International Window Film Conference and Tint-Off take place? How can I purchase additional sponsorships? Contact Casey Flores at cflores@glass.com to discuss options for additional sponsor engagements. Once you have registered as an Auto Glass Week™ Sponsor, you will receive an email with links to register your booth personnel. How can I market for the event? We have put together a special Social Media Guide for our sponsoring companies. You can find the PDF here. As a sponsor, what do I have access to at the show? Sponsors gain access to the full educational program, trade show floor and front row seats to the Tint-Off™ division competitions. Optional events such as the Pub Crawl will require additional registration and payment. When is sponsor move-in and move-out? Tuesday, September 3 from 12:00 p.m. - 6:00 p.m.
Wednesday, September 4 from 8:00 a.m. - 11:00 a.m.
Friday, September 6 from 2:00 p.m. - 6:00 p.m.